Considered one of the foremost basses of our time, Estonian-born Ain Anger is a prominent Wagnerian and in international demand for the principle roles of the German, Italian and Russian repertoires. Trained at Tallin’s Academy of Music, Ain Anger began his career in his homeland before further developing his repertoire and experience as a former member of the ensembles of Oper Leipzig, and latterly Wiener Staatsoper where he has subsequently sung more than forty roles ranging from Dosifei in Mussorgsky’s epic Khovanshchinaconducted by Semyon Bychkov, Koenig Heinrich (Lohengrin) under Christian Thielemann, to Philippe II (Don Carlos) under Philippe Jordan. The current season brings Anger’s return to Covent Garden as Hunding under Sir Antonio Pappano as well as his debut at Teatro Real in Das Rheingold under Pablo Heras-Casado. 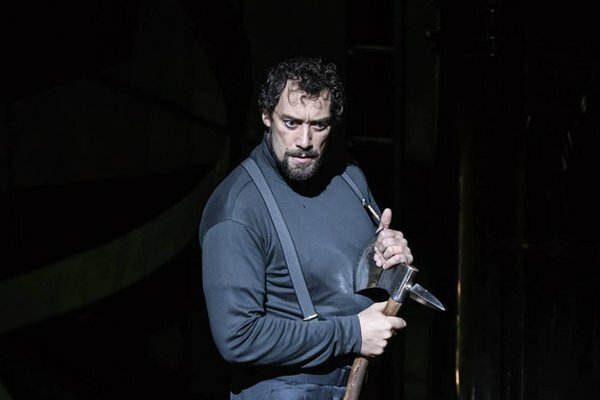 At Wiener Staatsoper, Ain Anger appears as Zaccaria, at Bayerische Staatsoper he returns as Prince Gremin (Eugene Onegin) and at Opéra National de Paris he sings his first production of Tchaikovsky’s Iolantaunder Tomáš Hanus and joins Ivo van Hove’s new production of Don Giovannias Commendatore, conducted by Philippe Jordan.